With a labyrinth of cultures represented in every nook and cranny of town, Houston is one of the most ethnically diverse cities in America. 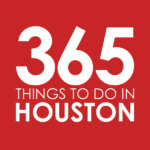 To celebrate this world-class melting pot, we’ll be exploring a new region of the globe through a Houston lens each week, from annual festivals and museums to restaurants and cultural experiences. Join the journey with our Around the World in Houston series. This week, we’ll journey to Central America for cultural festivals, language meetups, and food and drink from authentic chuchitos and pupusa to pepian de pollo and baleadas. Check out our guides for a deeper look into Guatemala, El Salvador, and Honduras. Houston Latin Fest – Bringing together the cultures of the Caribbean and North, South and Central America, the Houston Latin Fest usually takes place in late summer, early fall. Houston Latino Film Festival – Enjoy cinema without borders at this non-profit film festival, which screens films from all over Latin America, as well as Spain, Portugal, and the U.S.
Tamale Festival – Each December, tamale season kicks off with this festive food and musical showcase, featuring a tamale eating contest, live music, and plenty of food and drink vendors offering tamales and festival eats. Festival Chapin En Houston – Usually held in September, the Chapin Festival in Houston brings togther the music, tastes, and culture of Guatemala, from traditional eats to marimba. Look out for musical showcases throughout the year. Latin American and Caribbean Art at the Museum of Fine Arts, Houston – This departments boasts a core collection of modern and contemporary art with more than 550 emblematic from Mexico, Central and South America, the Caribbean, and works by Latino artists in the United States. Talento Bilingüe de Houston – Located in the East End, this bilingual, non-profit cultural center strives to enhance Houston’s Latino arts experience through collaboration, education, and preservation. Institute of Hispanic Culture of Houston – This local non-profit organization was founded in 1965 to preserve the richness of Hispanic culture and its language. Today, it serves the Hispanic community and provides various educational activities in collaboration with local universities and arts organizations. Antojitos Hondureños – You’ll find carne asada con tajadas (fried plantains), baleadas, tacos Hondureños and pastelitos de carne at this Airline food truck. Antojitos Salvadorenos – Get caldo de gallina, lomo asado, Salvadoran-style breakfasts and fat pupusas at this Telelphone Road haunt. Atitlan Restaurant – Over in Clear Lake, this Guatemalan and Mexican restaurant offers authentic tastes and big portions on the cheap. Dig into chicken and beef stews, chiles rellenos, caldo de gallina (hen soup), and antojitos like and chuchitos (smaller tamales) and tostadas with guacamole, black beans, and salsa. Buffet de Pupusas Salvadorean Kitchen – This Hillcroft eatery offers a breakfast buffet, with a variety of pupusa and curtido relish, alongside coffees, fresco de ensalada, traditional breakfast favorites like plantains, beans, and huevos rancheros and specials like pane con pollo and Salvadoran Quesadilla. Cafe Latino Panaderia Y Pupuseria – Pupusas are made fresh daily at this Northwest spot. Enjoy them alongside yuca frita, tamal de elote and pollo, carne guisada, and traditional pastries. Campesino Coffee House – Hit this popular Montrose bungalow to sip horchata and chan alongside empanada and pisque tamales. Delicias Latinas Restaurant – This Nasa-area haunt offers Guatemalan and Mexican cuisine, with dishes including pepian de pollo, carne guisada, and jocón (chicken stewed in greence sauce). Dinora’s Bakery Y Pupuseria – Dinora’s all-day menu rocks authentic dishes like handmade pupusa, yuca con chicharron, tamale pisque, pan con gallina, mariscada, huevos con loroco, and traditional desayunos. El Katracho Restaurant – This lively spot offers live music, drinks and a taste of Honduras via baleadas, traditional Honduran breakfasts, tamales and more. El Paseo Catracho – This Latin spot rocks Honduran eats like baleada, anafres and catrachitas. Gloria’s Latin Cuisine – With a menu and concept dreamed up by El Salvador-born Gloria and Jose Fuentes, Gloria’s blends Salvadoran traditions with Tex-Mex additions. Hit the Midtown location to dine on handmade pupusas, platano frito, asado de puerco, and carne adobada. Guatemala Restaurant – This Hillcroft gem is open for breakfast, lunch and dinner, offerirng dishs like hilachas (shredded beef in red sauce), eggs with plantains, beans and fajitas, and kak’ik, a traditional turkey soup. Honduras Maya Internacional Bar & Grill – This family-owned and operated spot rocks a menu of baleadas, enchiladas, bandeja, desayuno Hondureño, carne asada, salpicon, mojarra frita and more. La Familia Restaurant & Pupuseria – On West Little York, this cozy spot offers Salvadoran comfort foods, from caldo de pollo and mariscada to homestyle pupusas and empanadas. Mama Rosa Pupuseria – Mama Rosa rocks traditional fare, from Salvadoran breakfast plates and sopa de gallina to salpicon and queso con chicharron pupusa. Mi Bella Honduras Restaurant – Get traditional Honduran specialties, from delicate baleadas and mondongo (tripe) soup to pinchos catrachos skewers and fresh fried fish with sliced green banana and tortillas. Authentic Honduran breakfast plates are served all day long, stacked with fried beans, cheese, butter, avocado, egg, tortilla, and ripe banana. Mi Pueblo Catracho Restaurante – You’ll find deep-fried whole fish, carne asada, and baleada at this Spring Branch eatery. Panaderia Pupuseria Renderos – Hit this Central American and Mexican panaderia and restaurant for authentic flavor and classic dishes, including breakfast plates, tamales de elote, yuca con chicharrón, carne asada, and pollo encebollado. Pollo Campero – This fast-food chicken chain opened its first store in Guatemala in 1971. Get breaded and fried or citrus-grilled chicken alongside plantains, yuca fries, rice, beans, empanadas, and flan. The Pupusa Bar – Dreamed up by a native Houstonian and chef from El Salvador, The Pupusa Bar has created a fresh, gluten-free and all-natural ingredient pupusa menu with a modern twist. Get them by the pair alongside pickled cabbage, crispy chips, and homemade verde and roja salsas. Pupuseria Emanuel – With two locations in South Houston, one on Telephone and a pupuseria and panaderia on East Edgebrook, Pupuseria Emanuel offers cheap and cheesy pupusa filled with things like squash, chicken, beans, and chicharron. El Quetzal Bakery – This Guatemalan bakery and restaurant rocks fresh cakes, and sweet bread, plus traditional homestyle dishes, from tamales de arroz to pupusas. Fiesta Mart – With locations around the city, Fiesta Mart is known to stock Hispanic foods and specialty items. Stroll the aisles to find things fruit nectars, flavored tomato sauces, coconut milk, papaya, plantains, and the Central American staple, frijol de seda. Habla Houston – Learn to speak Spanish through weekly classes, interactive meetups and more. Spanish over Coffee – Brush up on your Spanish language skills with all-level classes that help you learn through conversation. Program experiences include dinner parties, game nights, scavenger hunts, and grocery shopping. The Houston Spanish Language Meetup – This meetup connects Spanish speakers of all levels, offering fun activities around Houston. Latin Women’s Initiative – This nonprofit organization strives to make difference in the lives of Latin women and their families by providing both financial and volunteer support to several local nonprofit organizations in the Houston community. Belize Association of Houston – This local nonprofit works to keep Belizeans up to date on the crucial issues back in Belize and provide social opportunities for the community. Follow along on Facebook for updates. BBVA Compass Stadium – Fútbol fans can get their fix at this EaDo soccer stadium, home to both the Houston Dynamo and the Houston Dash.